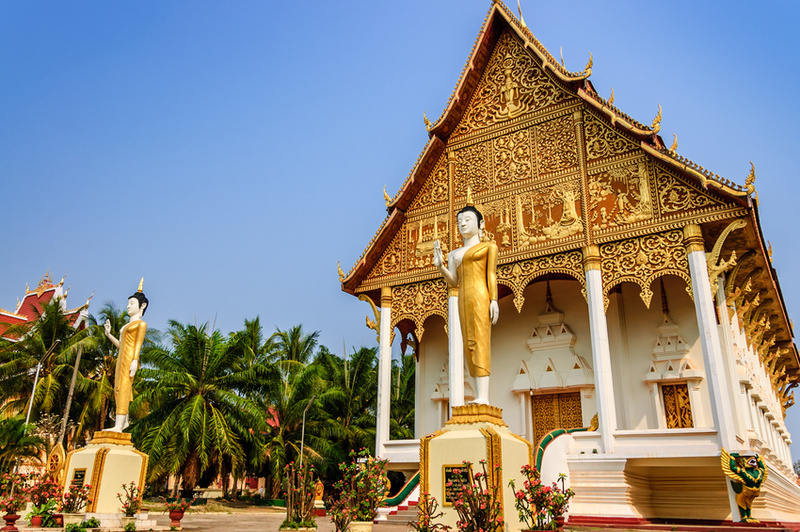 Vientiane, set along the meandering Mekong River, is the very laid back peaceful capital city of Laos. This city is in stark contrast to the chaotic bustling streets of Bangkok or select other South East Asian cities! 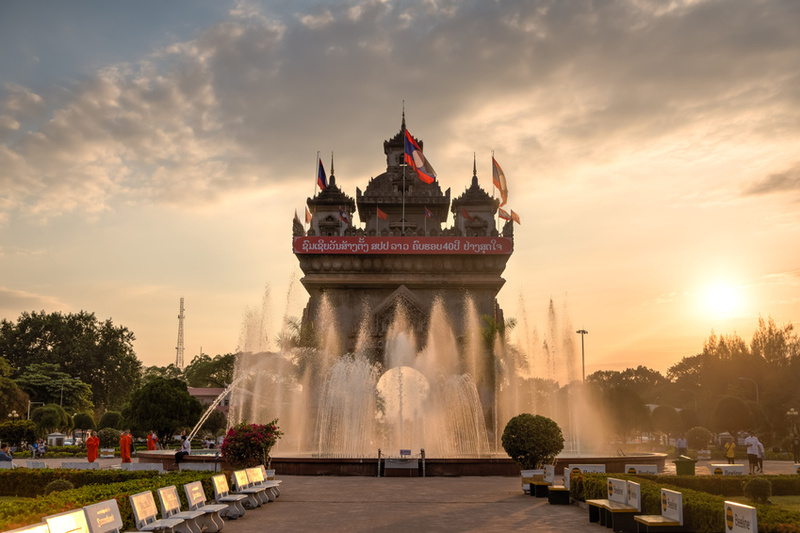 Vientiane is small enough that its not an overwhelming city (population 135,000) and you can find your way around quite easily. If you do get lost, there is usually a Tuk-tuk eagerly waiting to whisk you away to your destination. Vientiane is a clean comfortable city with seemingly several Internet cafes on every block. In that regard, this is a well connected city. There are many amenities setup for tourists here – nice guesthouses, cheap lodging, good restaurants and several sites worth seeing. This is also a fairly safe city. Nice hub to take some time off from moving – and meet other travelers. One to two days in this capital city is generally considered enough time to see the main highlights. One arrives overland – most commonly from Thailand to the south, via Nong Khai (the border crossing – we took the train from Bangkok to Udon Thani) and then transfered to Nong Khai and crossed the border via the Thai-Lao Friendship Bridge. There are also non stop flights from Bangkok to Vientiane – or one can also fly to Udon Thani in Thailand and then cross overland from there.